You will receive four art videos with voice instruction, available via email now. Download your supply list HERE. I have 20+ years experience doing intuitive consultations helping people solve their problems. I’m a long-time mixed-media artist and writer, and I have combined my knowledge into various e-courses and YouTube how-to videos. I’m excited to share this e-course with you, and my hope it that it will inspire you to explore your genius creativity. The adventure does not end as you finish your course, but is the beginning to a new life of exploring creativity and your inner senses. 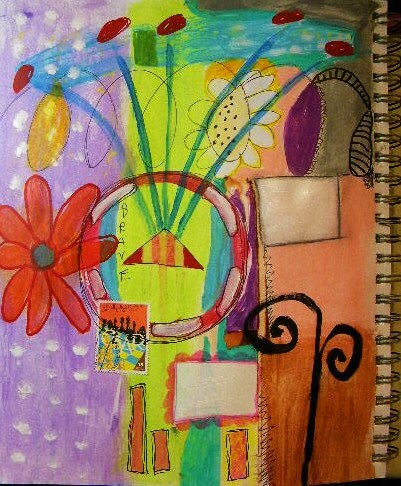 Testimonial from Art as Oracle course: Art as Oracle is a life changing course and the best part is you don’t even need to be an artist to benefit from it. From the very first lesson, I was able to tap into my spirit and receive guidance from the universe. Maria has done a wonderful job with the lessons which are both simple and fun to do! I highly recommend Art as Oracle for anyone who wants to learn to use their intuition and tap into their spirit using art. 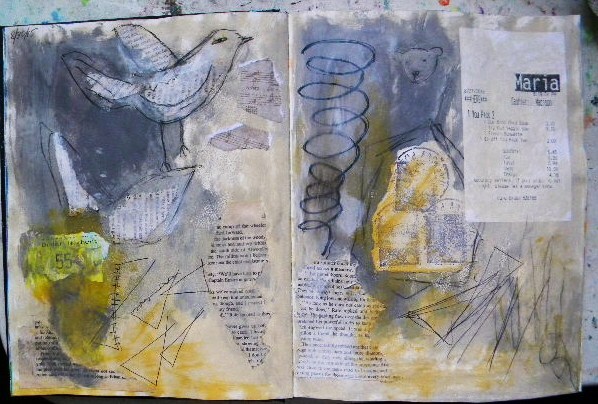 Tobi C.
From Art as Oracle: I highly recomend after taking part in “art as oracle” and “art journaling journey”. She coaxed out a lot of my sleeping creativity. Carina W.
Do you want to be part of learning something new? Don’t delay and miss this opportunity! Sign up now! 50% off October 28-November 3. Only $27.50! Previous PostChristmas is comingNext PostDon’t follow the rules!